Can You Survive 60 Storeys at the Tembusu Vertical Marathon 2017? Legs? Toned and ready. Mission? Helping raise funds for deserving youngsters in Cambodia. Ready to climb an urban mountain on 11th February 2017 while meeting your own personal achievement goals? 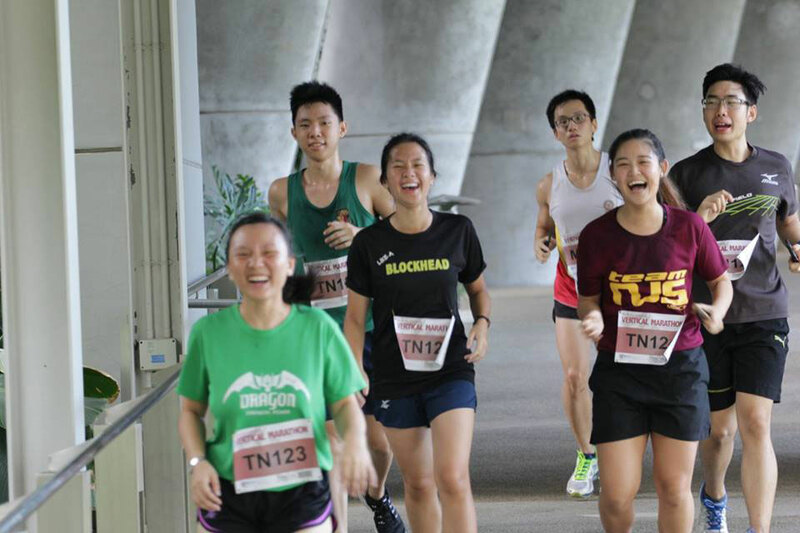 Most people look upon Tembusu College as a place where minds are given daunting workouts, but on 11th February 2017, legs take precedence when droves of runners attempt to ascend 69 storeys into the sky at one of Singapore’s most expansive college campuses. This vertical event isn’t for the faint of heart or for those suffering from acrophobia, but if 2017 is the year you intend to challenge yourself, put on blinders and stare at the steps as you kill two birds with one stone: support a worthy cause and chip away at your fears! Singapore residents take pride in the nation’s entire higher education system, especially popular residential academic institutions modeled on colleges like Oxford, Cambridge, Harvard and Yale. While Asia isn’t known for residential colleges, the National University of Singapore realised that this type of school made practical sense, since education, housing and community are combined in one location. Tembusu College has only been open since 2011, but its reputation is as tall as some buildings on campus. Peruse the Tembusu website to understand the full extent to which this “town” functions as a hub of student life for undergraduate and graduate students. Exciting sports and social activities are one of the perks of living on this campus, so students needn’t leave to obtain everything they need and want. 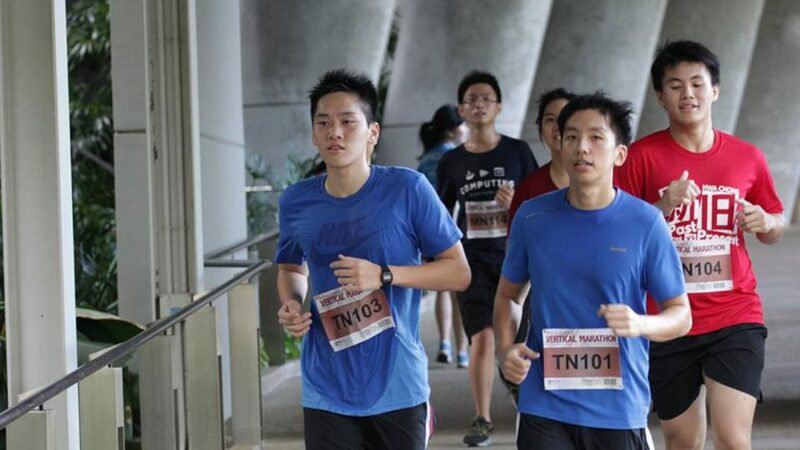 Come 11th February, students and Singapore residents will ascend Tembusu tallest staircase to compete for vertical marathon honours. Join the fun and you’ll learn something about yourself without signing up for a single academic class. 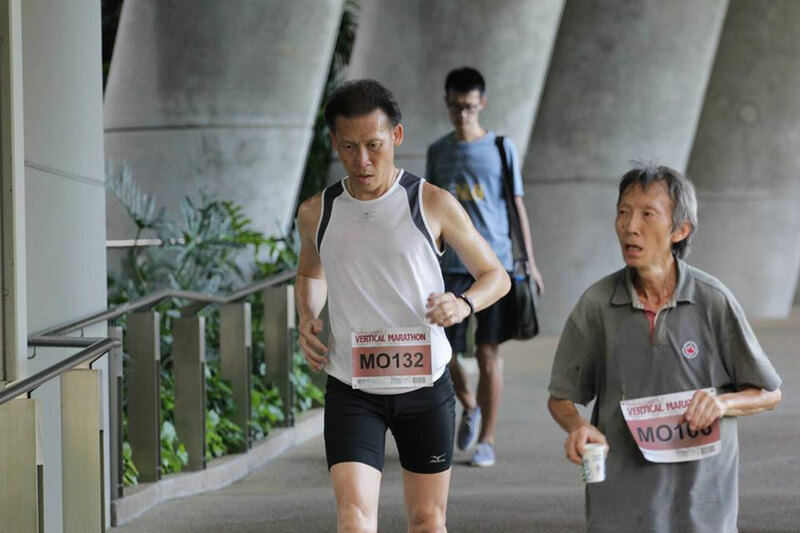 Once you get over the fact that you’ll be required to conquer 60 storeys at the Tembusu Vertical Marathon, you’ll have work to do. 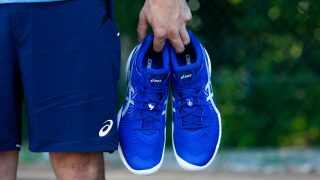 Start now since fitness expert Aimee Barnes believes that three months of conditioning is an ideal timeframe for getting into shape for verticals, though if you’re already a Swissotel Vertical veteran (that’s 73 storeys to climb) or you do the National Vertical in May (63 storeys), feel free to skip reading this section. 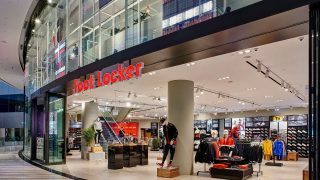 New to verticals running? Dedicate your gym time to squats and lunges, adding weights and variations so you don’t get bored. Get your fill of box jumps, jumping lunges and narrow high jumps that pay off big time when endurance and speed lag during an upward climb. Wall sits and low squat holds are guaranteed to pump up your leg muscles so they’re powerfully strong for the long climb. Ask gym trainers to instruct you in Fartlek Drills if you haven’t a clue what they are so you increase your capacity for intense bursts of power when you need them most. Does this mean you should ignore your core? Of course not! Your entire body will be impacted, so tone your core, too. Registration fees for the Tembusu Vertical Marathon are downright affordable. Sign up now and you can still get the Early Bird rate up to midnight on 30th November, thereby saving even more cash. Snag a bright red limited edition finisher t-shirt and the usual goodies donated by kindhearted sponsors and businesses. You don’t have to fret about deciding which distance category to choose at registration because everyone will be heading headed in the same direction: Up. 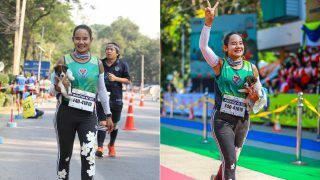 And there’s a philanthropic side to the Tembusu Vertical Marathon likely to tug at your heartstrings: Proceeds from the event go to Tembusu College’s tCambodia initiative that underwrites travel expenses for students visiting Cambodia as volunteers among some of the neediest and most underprivileged children in that nation. We’ve been privileged to read journals of students selected for an outreach team that goes to Cambodia, and hope their experiences will incentivise you to register for the marathon. Once exams end, select student travelers queue at Changi Airport dressed in matching college attire to fly to Siem Reap where the Journey of Grace Academy (JOGA), founded by Tembusu alum Winson Lim, awaits their arrival. 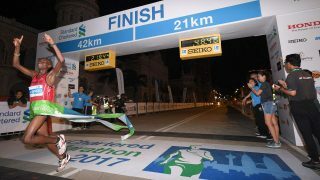 Lim began running marathons to benefit these children in 2014. His initial goal was to teach the children English and this ultimately lead to the founding of the Academy. For the visiting students from Tembusu College, the 12 days they spend at JOGA tends to be a life-altering, unforgettable experience and they all feel a profound sadness when their visit is over and they must return home to Singapore. In fact, the kids forge ties with their short-term "teachers," and often present them with beloved possessions as gifts as a show of their affection and gratitude when those goodbyes are exchanged. Expect to climb amid lively young people whose enthusiasm tends to be contagious. Grab the opportunity to get early training for the big dogs: Swissotel and National Vertical events. Experience how it feels to train for a vertical rather than a horizontal event. Boost your mental acuity—you had no idea that vertical climbs require a different mindset, right? Don’t be hesitant. Kathy Smith, writing for Active.com, says that anyone able to walk 5km can do a vertical. She points to an 82-year-old woman who swears by them! Verticals are becoming more popular around the globe so you could expand your understanding of the world by traveling abroad to compete in them. You won’t have to travel to parks, tracks and running paths to get in your practical training. Pick a building with stairs that allows public access. Done and done. How likely are you to participate a specific event simply because the charitable cause behind the race is too compelling to ignore?